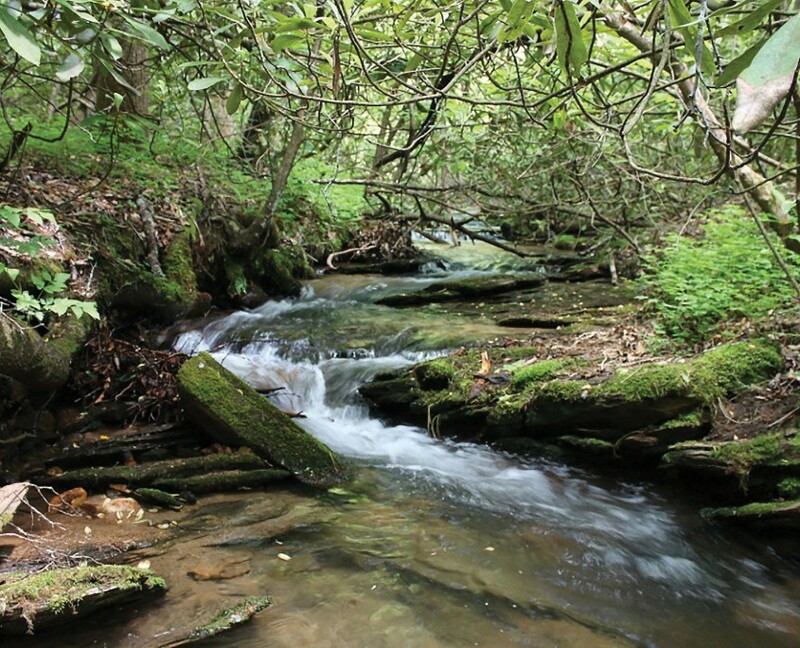 Rose Creek/Overmountain Victory Trail | Protecting the Blue Ridge Parkway in N.C. The Conservation Trust for North Carolina’s purchase of this property in 2008 saved it from becoming a golf course development, and opened another segment of the Overmountain Victory National Historic Trail (OVT). The property contains 1.3 miles of the OVT, which traces the route taken by colonial militia to the pivotal battle of Kings Mountain during the American Revolution. Conservation of the Rose Creek tract, which provides the forested backdrop above the Orchard at Altapass from the Loops Overlook, also protects drinking water and wildlife habitat. The Rose Creek tract can be further examined through the TravelStory GPS mobile app. This app allows hikers to track their progress, and provides photos and narratives on the culture, history and ecology of the area. Download it at www.travelstorysgps.com. Directions: Park at the Heffner Gap Overlook at milepost 326. The trailhead is located down a short road across the Parkway from the overlook, indicated by an OVT sign.